﻿Treatment with two medications that target the most common genetic cause of cystic fibrosis improves lung function and lowers the rate of pulmonary exacerbations, according to the results from a Phase III international clinical trial published in the New England Journal of Medicine. Combined lumacaftor-ivacaftor therapy was shown to be safe and effective for cystic fibrosis patients with two copies of the cystic fibrosis gene mutation (F508del) found in nearly half of the patients with this disease. Cystic fibrosis is a genetic disease that causes the body to make thick, sticky mucus. In the lungs, the mucus leads to chronic infections and increasing loss of lung function. In the pancreas, the thick mucus keeps enzymes from reaching the gut to digest food. The median life expectancy is 37 years, and available treatments mostly focus on managing symptoms and consequences of the disease. 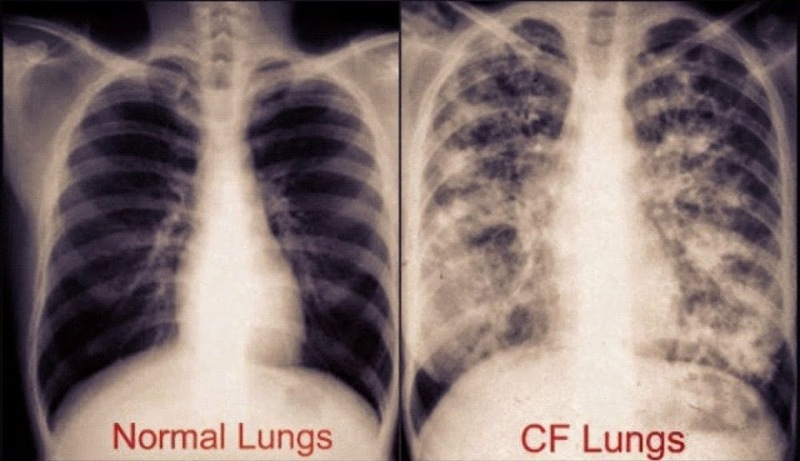 While significant progress has been made with supportive therapies for cystic fibrosis, developing treatments that address the underlying genetic cause has been a challenge. Just a few years ago, ivacaftor became the only FDA-approved drug for the genetic defect in cystic fibrosis, but it only works for genetic mutations found in a small portion of cystic fibrosis patients. The new study showed that combining ivacaftor with lumacaftor helps patients with the most common cystic fibrosis mutation. The randomized, double-blind, placebo-controlled clinical trial included a total of 1,108 patients, 12 years of age and older, who were treated for 24 weeks in multiple centers. More analyses and longer-term data is needed to see if the treatment can alter the disease course and further extend the life expectancy of patients. Final FDA approval is pending. Based on material originally posted by Ann & Robert H. Lurie Children's Hospital of Chicago.